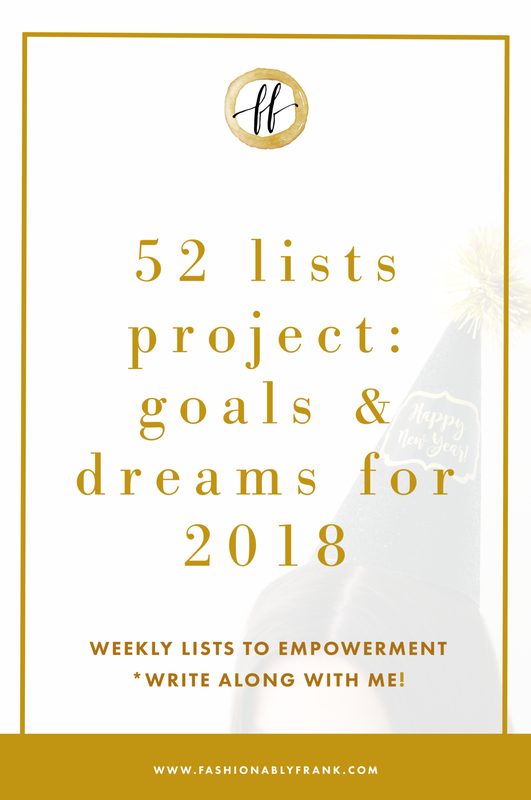 This week's #52ListsProject prompt is "Goals and Dreams for the New Year". Entering 2018, what are your goals and dreams that you hope to accomplish? Let's start the jotting! 1. Meditate at least once per week and complete my new daily couple's journal with my sweetie. 2. Blog on time each day I have a blog post due. 3. Increase annual gross for my business by 50K and gain at least 5 new ongoing clients. Perhaps hiring one more to join the team. 4. Exercise at least twice, three times per week if I'm being generous! 5. Take a flight somewhere and conquer my distaste of flying and take-offs. 6. Respond to client emails more intentionally, taking time and letting myself calm & breathe. Oh, and use my new incredible Powersheets to get all of this done!